According to PoliticsNGR newsdesk, The Economic and Financial Crimes Commission, EFCC raided an apartment belonging to sons of the PDP presidential Candidate, Atiku Abubakar over the weekend. The building also houses an apartment occupied by two sons of Atiku Abubakar and Chiemeka Orji, son of ex-Abia State Governor, Theodore Orji. Reports indicate that the home of Mr Abubakar’s children was the primary target, but an anti-graft source hinted otherwise,that Chiemeka might have been the target due to the fact that his father, Theodore Orji is currently in court with the EFCC on charges of Corruption. The apartment building coccupied by Aliyu and Mustapha Atiku is situated in Maitama, Abuja. The raid comes a day after Ex-Anambra Governor and Atiku’s running mate, Peter Obi’s bank accounts were frozen. The EFCC and ICPC have since denied being responsibly for the act. 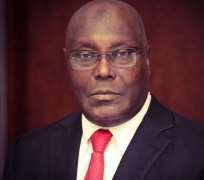 Paul Ibe, a spokesperson for the Atiku Abubakar family, confirmed the incident stating that the officers who carried out the raid were unable to find anything incriminating. Aliyu and Mustapha are currently out of the country studying for their masters’ degress. None were around during the raid.